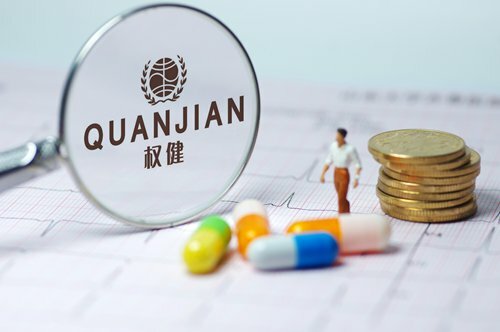 Domestic healthcare products maker Quanjian recently got into trouble after an article on the WeChat public account Dingxiangyisheng accused it of selling ineffective cancer drugs to patients. The article has attracted much public and media attention and has pushed the government to conduct investigations into the healthcare giant. 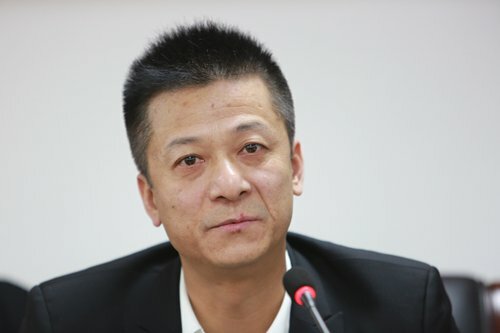 As more and more news about Quanjian and its founder and chairman Shu Yuhui was exposed to the public, it has been brought to public attention that the company has set up a vast business empire, initially selling healthcare products but gradually expanding to a number of cross-border industries, creating a complicated business model which is not unusual in domestic healthcare industry. As more and more news about Quanjian and its founder Shu Yuhui were made public, many were surprised to find that Quanjian, starting from the business of selling products like shoe insoles and sanitary towels which it claimed to have health benefits, had gradually expanded into a gigantic "business empire" with capital investment in a series of industries including sports, finance, agriculture, e-commerce, property, advertising and so forth. This, to a certain extent, reflects the ultra-high profitability of the domestic healthcare industry despite the existence of many "grey areas" and illegal practices that took advantage of the gap between China's burgeoning healthcare needs and the inflexible medical system. The scandal of Quanjian was exposed to the public after a domestic medical WeChat account named Dingxiangyisheng accused the company of selling ineffective anticancer drugs to a 4-year-old cancer patient named Zhou Yang at an unreasonably high price. The drugs which Quanjian claimed to have positive effects for cancer, resulted in Zhou withdrawing from treatment at public hospitals, but eventually the Quanjian medicines proved ineffective for Zhou's illness and she died in 2015. Further, the article said there had been articles and videos circulating on the website claiming that Zhou Yang had been cured of her illness by the Quanjian products, when actually the girl's health was continually deteriorating. As a result, Zhou's parents had sued Quanjian but in fact lost the case. Among the reader comments posted under this article, many told similar stories about their relatives or acquaintances paying for Quanjian's healthcare products or special treatment that were useless for curing the diseases, and accusing the company of designing pyramid selling schemes. The local government of North China's Tianjin, where Quanjian is headquartered, has set up a joint investigation group into Quanjian's products and services. Certain products of Tianjin Quanjian are now suspected of using exaggerated or false advertising, and an investigation by authorities has been officially launched on Tuesday. Quanjian's stores in Shanghai have also been investigated by local authorities in recent days, with some shops closing down either spontaneously or having been ordered to close by the government, according to domestic media reports. Quanjian products had also been removed from major domestic e-commerce platforms like JD.com and Tmall.com. On Quanjian's official website, there's an article introducing the company's background. According to the article, Quanjian, located in Tianjin, was founded in 2004 as a "national enterprise" with its focus on the healthcare industry. According to this introduction article, Quanjin is "fundamentally guided by the traditional Chinese medicine culture, relying on classic medical prescriptions and has the mission to promote health." It also noted that the company had collected more than 600 secret Chinese herbal medicine prescriptions, upon which the company had developed its series of healthcare products. A report of the bjnews.com.cn had cited the content of a poster in Quanjian's "culture corridor" located in the company's Tianjin headquarters as saying that the company's healthcare-related products and services are classified into four sectors: tumor hospitals owned by Quanjian in Tianjin, East China's Jiangsu Province as well as Northeast China's Liaoning Province, Chinese herbal medicine sector where Quanjian owns three companies selling traditional Chinese herbal medicines. The two other categories are the sales of healthcare products, where Quanjian sells healthcare products, healthcare foodstuffs as well as hygienic disinfection products. The company also dabbles in the area of Chinese medicine cosmetics industry by not only selling skincare products using traditional Chinese medicine ingredients but also setting up a cosmetics company in South Korea. According to domestic media reports, Quanjian now owns about 600 hospitals nationwide, about 7,000 health clubs providing special "fire therapy", as well as more than 8,00 clubs providing healthcare and skincare services for female customers. Quanjian's success with its medical products and services has coincided with China's burgeoning healthcare products industry. According to data provided by consulting firm Euromonitor, the sales of China's healthcare products reached about 44.2 billion yuan ($6.43 billion) by the end of 2002. That number rocketed up to 237.6 billion yuan by the end of 2017 with an annual compound growth rate of 12 percent on average. The Euromonitor also predicted that China's healthcare products sales are likely to reach 350 billion yuan by the end of 2020. The high profitability of selling healthcare products has given Quanjian the opportunity to build a vast capital pool for cross-border investment. According to information on domestic company information search engine tianyancha.com as well as by domestic media reports, Quanjian has managed to set up a vast business network with its capital flowing to a series of industries. Currently, Quanjian has held controlling stake in 31 companies. Its chairman Shu Yuhui has a controlling stake in 101 companies in total. He is also legal representative for 23 companies, while acting as senior executive for 30 companies. In addition, his son, Shu Changjing, also has a controlling stake in a total of 42 companies. Public information has showed that Quanjian and Shu Yuhui's capital had extended to a variety of industries that seemingly had little connection with Quanjian's main business - healthcare products sales. The industries include sports (Quanjian has invested in several football clubs in Tianjin as well as a football club in Dalian of Northeast China's Liaoning Province), high-tech sector as Quanjian holds a 9.27 percent stake in a scientific company called HongqianKeji, which is listed on the National Equities Exchange and Quotations, also known as the New Third Board. Quanjian has also invested in companies in areas like advertising, agriculture, e-commerce, information consulting, insurance, maternal and infant products sales amongst others. Shu Yuhui also directly holds 5.43 percent stake in a listed company called JC Finance & Tax Interconnect, whose main business is providing online corporate tax services, according to domestic media reports. After the Quanjian scandal was exposed and attracted a lot of media and public attention, the shares of JC Finance & Tax Interconnect plunged as a result. On Friday, the company's shares fell by 8.98 percent to 6.59 yuan per share. The company's shares continued to slump by 6.07 percent on Wednesday as of press time. JC Finance & Tax Interconnect issued an emergency statement stressing that Shu Yuhui had not participated in any of the company's operations or management; and neither did the company have any overlapping business with Quanjian. But it's also possible that what is known to the public is only part of Quanjian's actual business scope. According to the aforementioned Dingxiangyisheng article, the business scope of Quanjian is a mystery. It also noted that Zhou Erli, father of Zhou Yang, had received a call threatening him that as Quanjian had several millions of people working for it, and if Zhou continued suing the company, he would be the enemy of all those people. To some extent, Quanjian is not the only healthcare company that developed such a business model with rapid expansion and cross-border investments. According to media reports, another healthcare giant in China, the Guangzhou-based Infinitus, also made a series of cross-border investments in universities and infrastructure projects, based on the vast capital it had amassed via healthcare product sales but that company's business model was also questioned by some online posts. 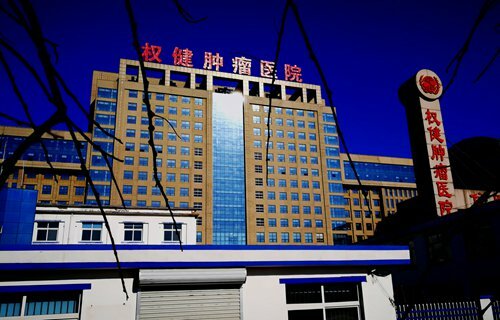 According to a report of the jiemian.com, behind the Quanjian scandal and similar situations is the fact that the rapid growth of the healthcare industry has led to uncontrolled chaos. However, the intensifying competition and stricter government management should help the industry restructure for the future.